We all need a new perspective now and then. National Life Group offers you a view from our window and a taste of the special beauty of Vermont. 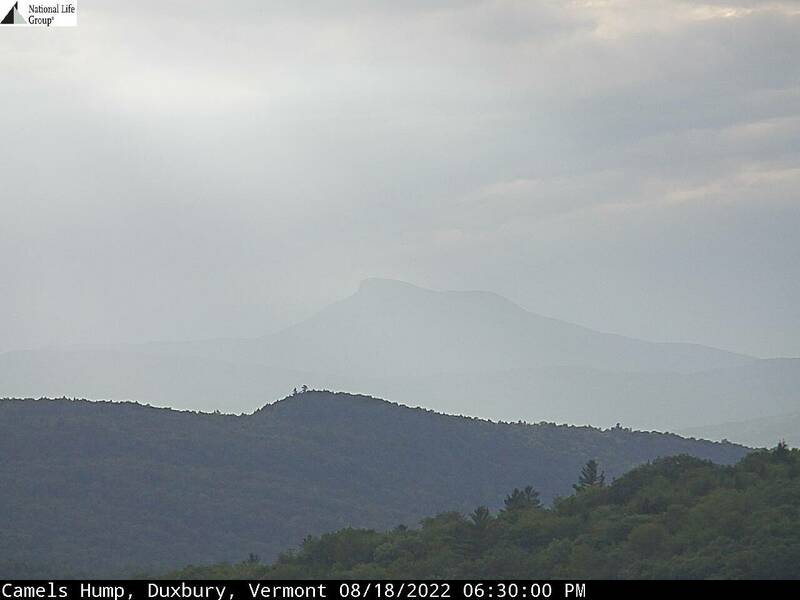 Camel's Hump is the third highest mountain in Vermont (4,083 feet above sea level at its peak). Waubanaukee Indians first named it "Tah-wak-be-dee-ee-wadso" or Saddle Mountain. Samuel de Champlain's explorers in the 1600's called it "lion couchant" or couching lion. The name "Camel's Rump" was used on a historical map by Ira Allen in 1798, and this became "Camel's Hump" in 1830. It is also the image used on the Vermont quarter. This view from National Life's Montpelier offices of Camel's Hump is a strong visual reminder of the strength of our Vermont heritage. 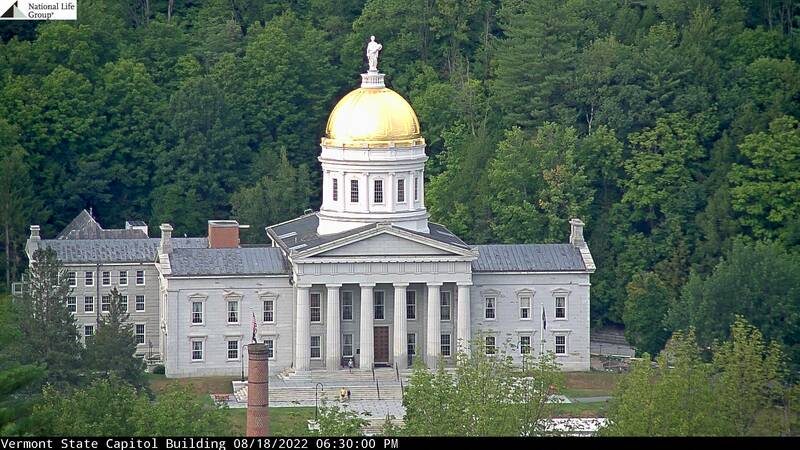 The third and present Vermont Statehouse was constructed over a two and a half year period at a cost of $150,000. Made from Vermont granite quarried in Barre, it was dedicated in 1859. Its ornamental scheme reflects the Renaissance Revival style popular at the time.